Demand for supply chain software in Europe is notably strong in the otherwise slowly recovering economy. A growing number of companies are implementing software for sales & operations planning (S&OP) and supply chain visibility. There have also been several acquisitions in the software market. Those are the key conclusions from Supply Chain Movement’s annual market study to produce the globally appreciated IT Subway Map Europe. 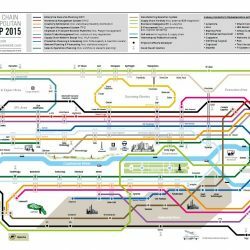 The input from the software suppliers approached when compiling the SCM IT Subway Map reveals that companies are increasingly supporting their S&OP processes with software that has been specifically designed for the purpose. Firstly there are the large companies, traditionally ERP suppliers, such as SAP and Infor who have developed applications for S&OP. 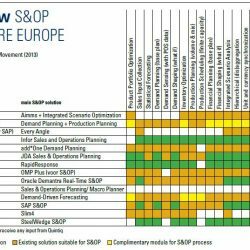 Then there are the European supply-chain software suppliers such as OM Partners, Slimstock, Inform and Quintiq who offer an S&OP solution, either integrated or as a stand-alone product. And finally, the American organisations Kinaxis and SteelWegde are starting to gain a foothold in the European market with their cloud-based solutions. In addition to the S&OP consultation and planning process, there is a continuing demand for underlying production planning. The Turkish company Icron Technologies has recently implemented an advanced planning solution at ASML, global market leader in lithography machines for the chip industry, in The Netherlands. Various other European suppliers in production and demand planning are also currently expanding their international activities, such as Slimstock and FuturMaster, from The Netherlands and France respectively. 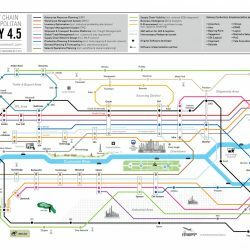 Since not only the planning but also the execution is becoming more important in logistics and manufacturing, this version of the IT Subway Map also includes a subway line for manufacturing execution planning. In addition to warehouse management solutions, software vendor Consafe Logistics has been providing customers in its domestic market of Sweden with manufacturing execution solutions for many years, and is now supplying these internationally too. In the past year, integration has been completed on most of the recent mergers and acquisitions. RedPrarie is now part of JDA and Ariba is part of SAP. The Canadian company Descartes has integrated KSD and Infodis, and the same goes for Kewill following its recent takeover of WMS and TMS supplier Four Soft. 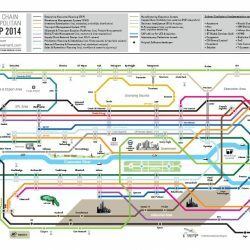 To complement the printed edition of the IT Subway Map, Supply Chain Media – publisher of this magazine – has also developed a clickable, online version: www.itsubwaymap.com. This interactive version makes it easy for users to identify relevant European suppliers by software type and to access more information such as customer references. In the near future, the online subway map will be further extended to offer multiple layers of information per vendor. Eventually, individual users of specific software modules will be able to rate various aspects such as functionality, user-friendliness and speed. This will give companies who are seeking supply chain software even greater insight into the actual quality and performance of each type of supply chain software available.